April 7, 2015, 10:17 p.m. They say an apple a day keeps the doctor away, but it will take a much more complete diet to help keep your eyes healthy between visits to your ophthalmologist. Of course, it’s always important to eat a well-balanced diet for overall health reasons. Including certain foods more often, however, could actually be more beneficial for your eyes. 1. Leafy Greens: Next time you prepare your salad, be sure to include spinach or kale instead of just using iceberg lettuce. Leafy greens are full of antioxidants, including lutein and zeaxanthin. According to the American Optometric Association, “many studies have shown that lutein and zeaxanthin reduce the risk of chronic eye diseases, including age-related macular degeneration (AMD) and cataracts.” These antioxidants also help to protect and maintain healthy eye cells by filtering out harmful high-energy blue wavelengths of light. Unfortunately, our bodies cannot synthesize the amounts of lutein and zeaxanthin that we need - meaning that eating nutritious foods with these antioxidants is a very important part of day-to-day eye care. 2. Berries: If you’re looking for something sweet to munch on, try grabbing a handful of berries - especially strawberries. These tiny snacks are packed full of vitamin C (86.5 milligrams to per serving), which has been linked to a decrease in cataract formation. Vitamin C is also known to promote healthy capillary growth throughout the body and assists in the absorption of iron - all which is important for healthy eyesight. Vitamin C is also another nutrient that our bodies can’t make on their own, meaning that Vitamin C-rich foods are the key to obtaining enough of this vitamin for a healthy body and healthier eyes. 3. 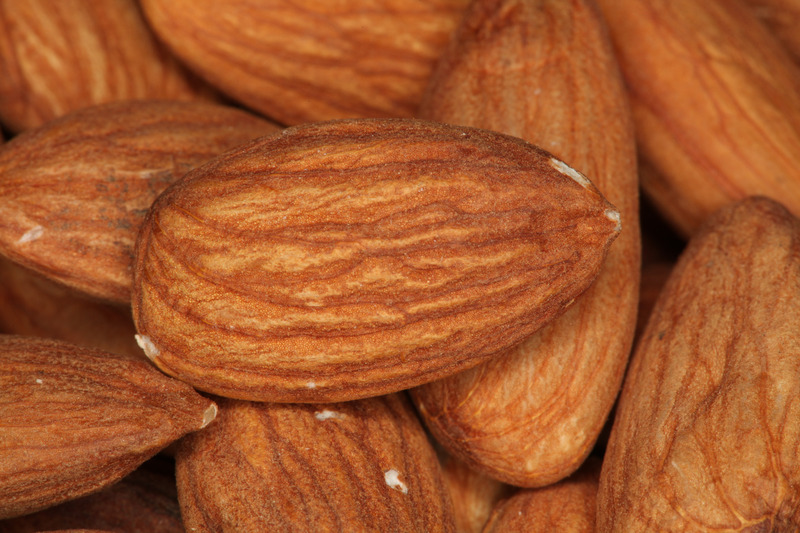 Almonds: Not a big fan of sweet snacks? Try almonds. In addition to offering a much-needed boost of energy and tasting quite good, almonds are known for their massive vitamin E content. According to some studies, vitamin E has been proven to reduce the risk of age-related macular degeneration by up to 25 percent - meaning that a handful of almonds now could be quite beneficial for your eye health down the line. 4. Beans: One of many nutrients that our eyes and bodies overall need to function properly is zinc - and like so many other nutrients, our bodies cannot produce zinc on their own. If you’re trying to mix up your diet and add a little more nutritional value here and there, beans and other legumes are a good source for this particular nutrient. As long as you aren’t overdoing it, adding zinc to your meals can help protect your retina against some of the aging effects that can lead to vision loss. 5. Fatty Fish: Whether you prefer tuna, salmon, or mackerel, a fish dinner is a great thing to include in any eye-healthy diet. Rich in omega-3, these dinner staples regulate the growth of blood vessels in our eyes. Since some eye conditions are caused by overgrowth or abnormal growth of these blood vessels, this regulation can go a long way in aiding in the prevention of diseases such as age-related macular degeneration and retinopathy. These five foods are just some examples of how the things we eat can affect the health of our eyes. Of course, one of the most important steps in gaining nutritional value from the foods we eat is to not go overboard in what we eat. It’s also important to remember that food, while an important part of our health, is never 100% effect in preventing the development of certain health issues. However, by working with a nutritionist or using one of the many healthy living tracking tools that are available to patients, you can easily develop a diet plan that will not only give you a healthier body, but which will help you see as clearly as possible for years to come. 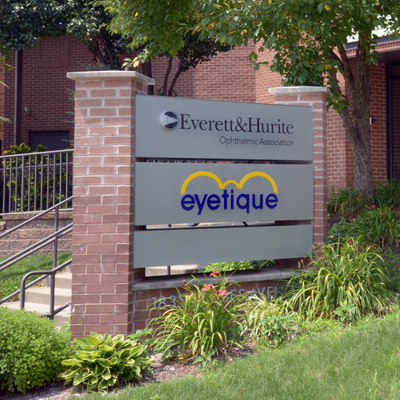 For more questions about what you could do to protect your eyesight, visit our website or contact your local Everett And Hurite office.